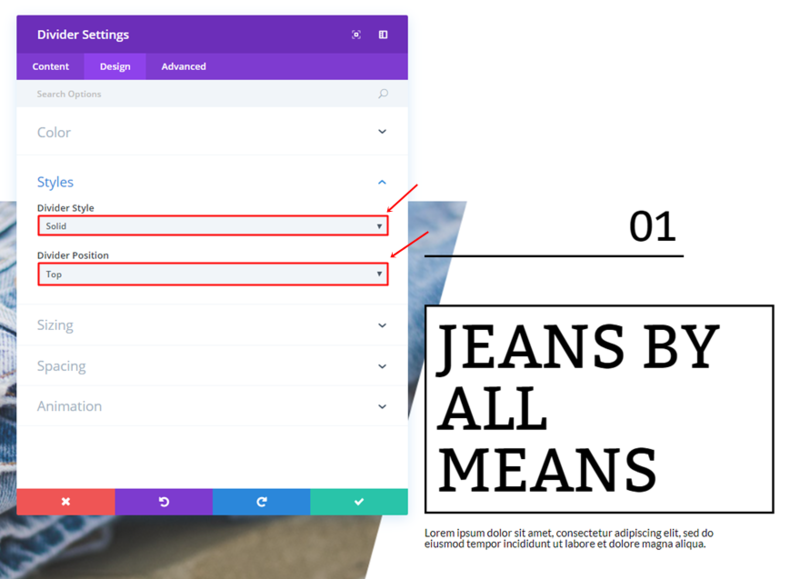 In this post, we’ll be showing you how you can create a scrolling fashion catalogue. 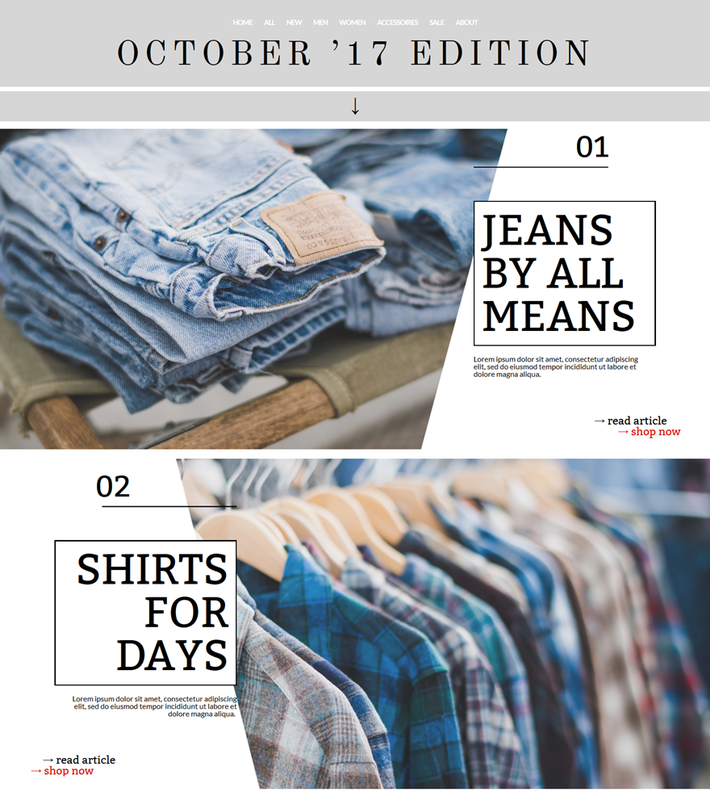 Using this method will help you connect with your audience as you would by handing them a paper catalogue. 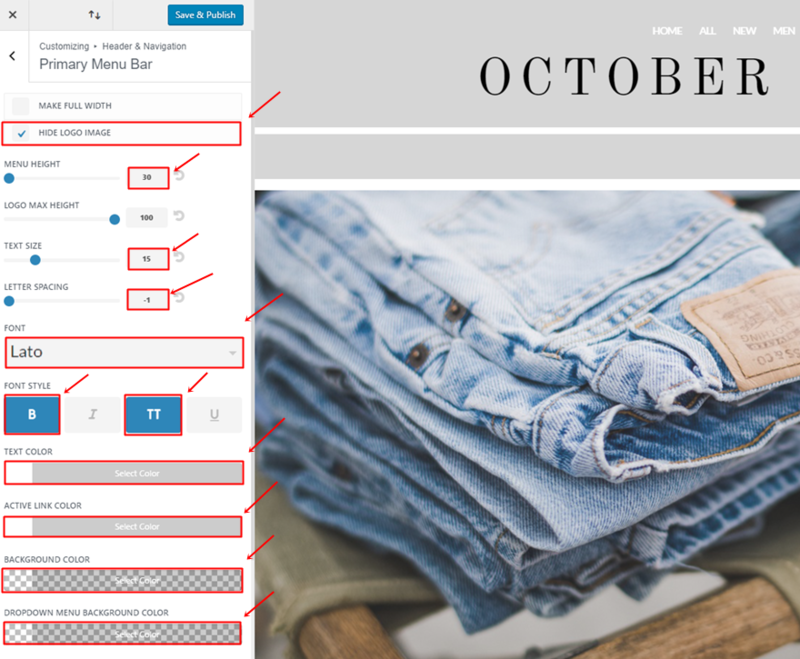 Creating an online scrolling fashion catalogue may help increase the results you get from the catalogue. By including direct links to shop items, for example, the buying process will be enhanced as well. 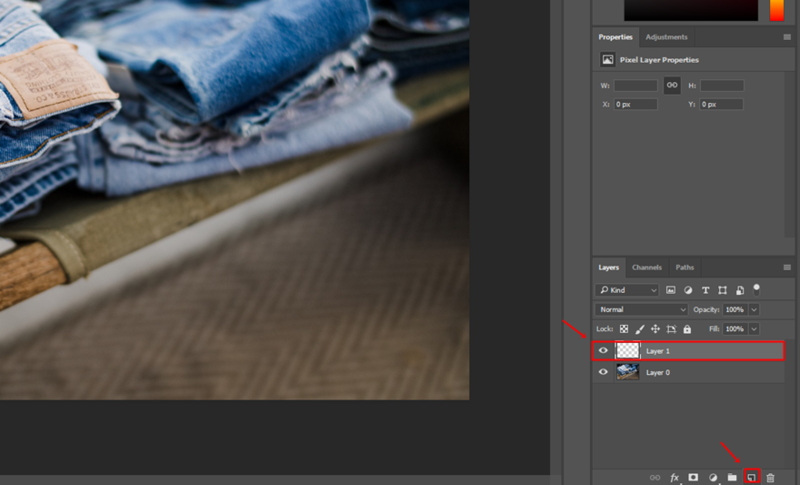 The first thing we’ll be showing you is how to add a transparent part to an image with Photoshop. 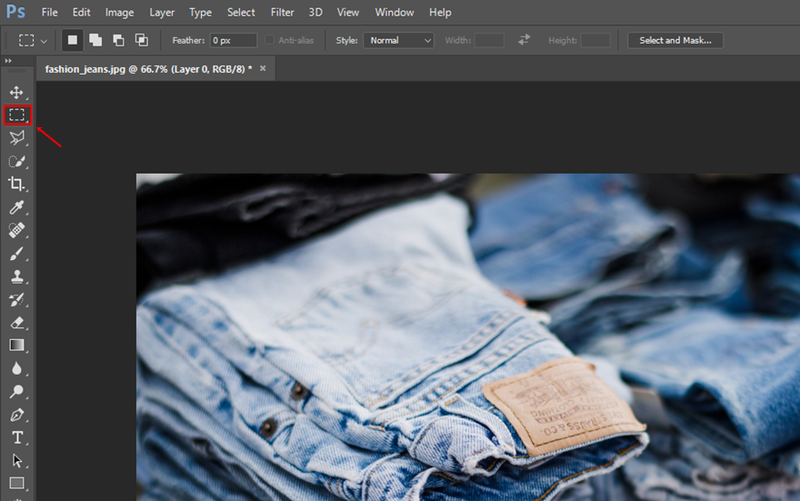 There’s a free alternative for Photoshop called GimpShop, but in this part of the tutorial, we’ll be using Photoshop only. We’ll need two images with each two different shapes; one for desktop and one for mobile and tablet. 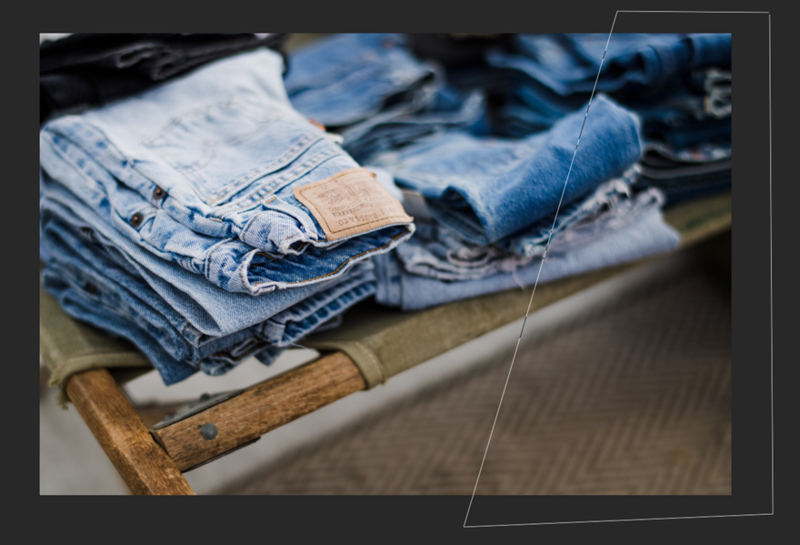 In this part, we’ll simply show you how to add a transparent shape to the image. Afterwards, you can make all the images you need yourself. Next, open the first image you’d like to edit. The method remains the same for all three images you’ll be using throughout this tutorial. That’s why we’ll only explain it once. 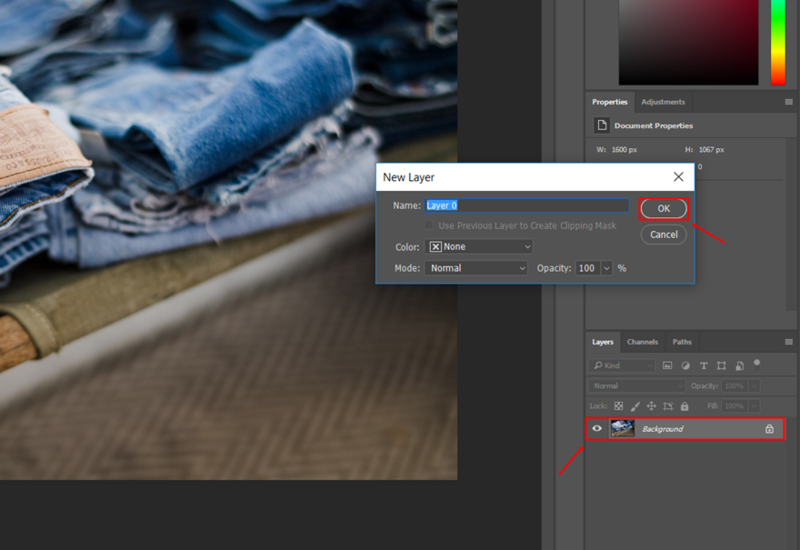 Once you’ve opened the image you want to edit, double-click on the image and create a new layer for it. Continue by adding another empty layer on top of it. 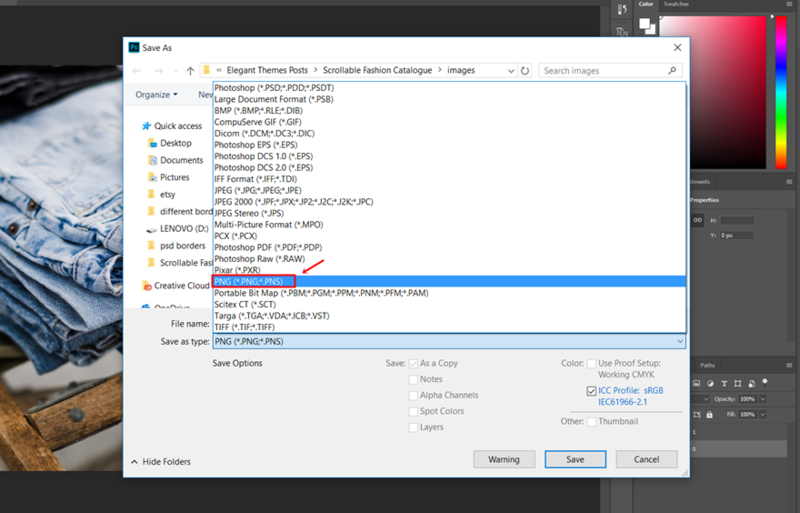 Select Layer 1 and start using the Polygonal Lasso Tool. While having the Polygonal Lasso Tool activated, go ahead and create the transparent shape within your image. Once you’ve selected the area you want to become transparent, go ahead make Layer 1 invisible, select Layer 0 again and press the Delete button on your keyboard. 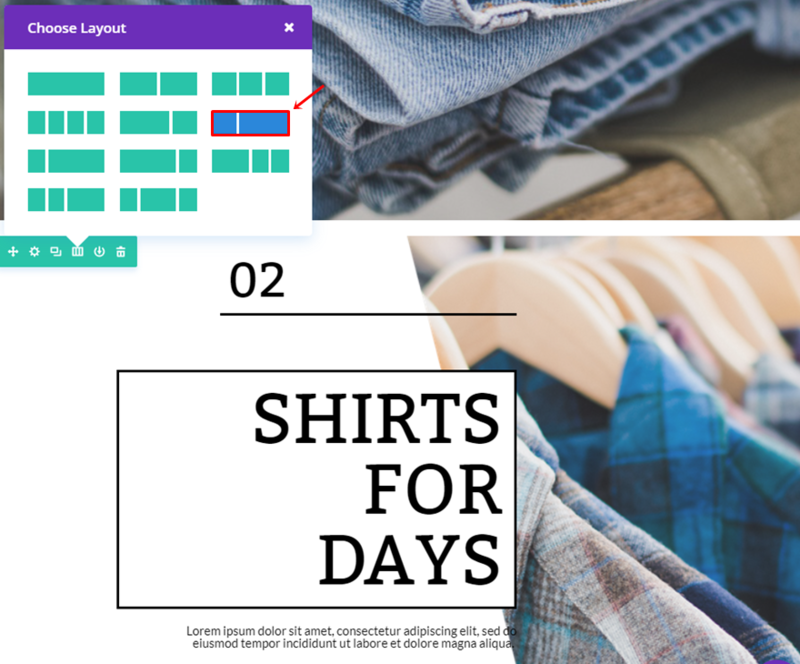 Once you’ve done that, select the Rectangular Marquee Tool and click somewhere on your image. 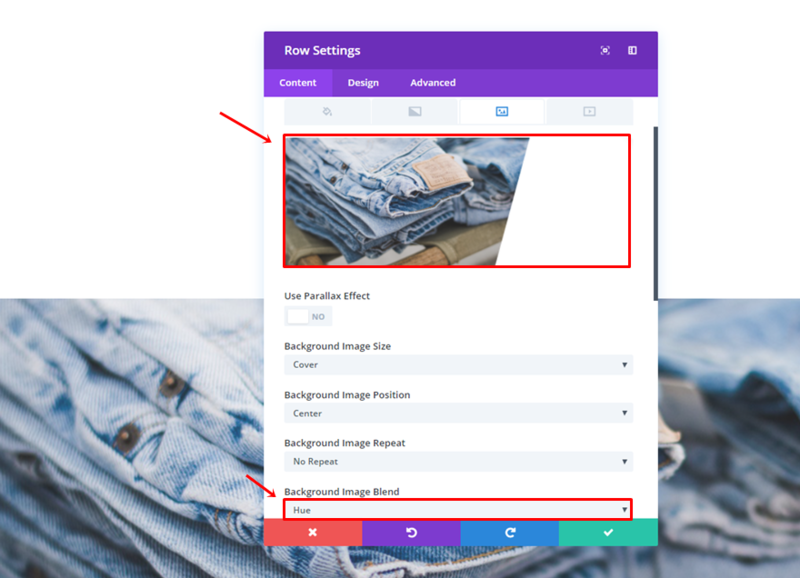 Lastly, you’ll need to save the image as a PNG and repeat the same process for all four images you’ll use throughout the layout. 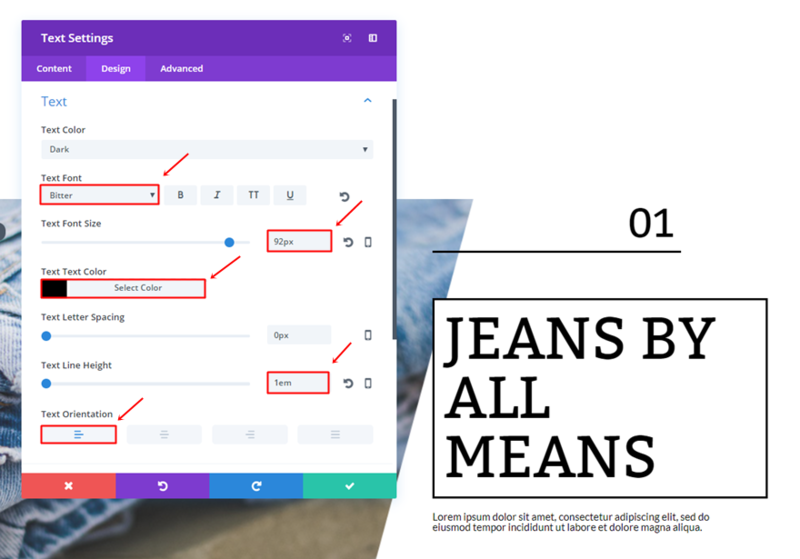 Once you’ve modified the Primary Menu Bar, you can go ahead and add a new page, use the Divi Builder and switch over to Visual Builder. 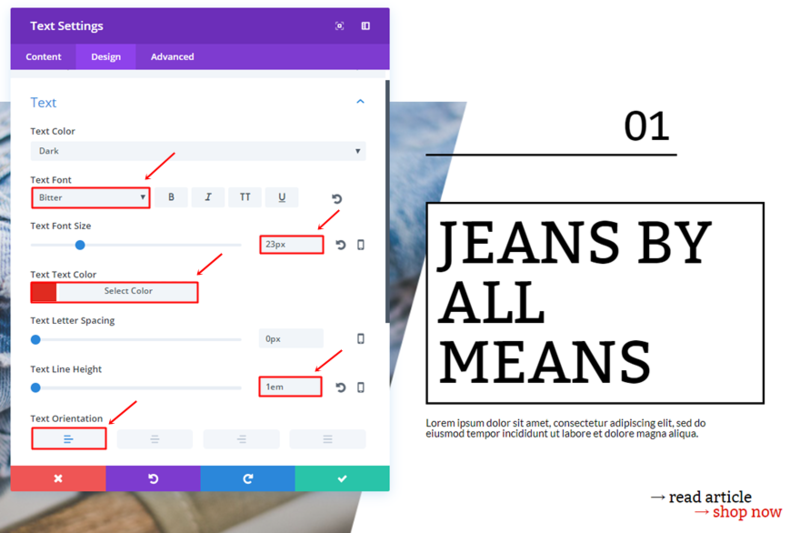 Within that page, start by adding a standard section. The background of that color needs to be ‘#d6d6d6’. 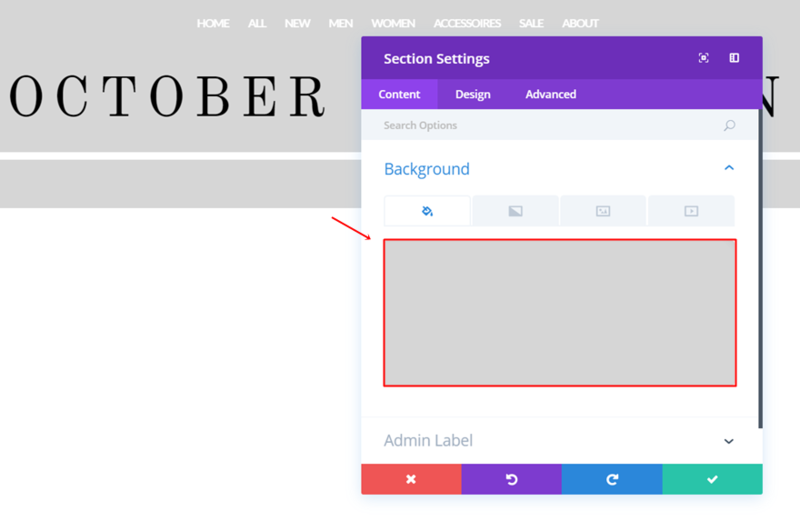 Move on to the Design tab of that section. Within the Spacing subcategory, add ’24px’ to the top padding and 0px to the bottom one. 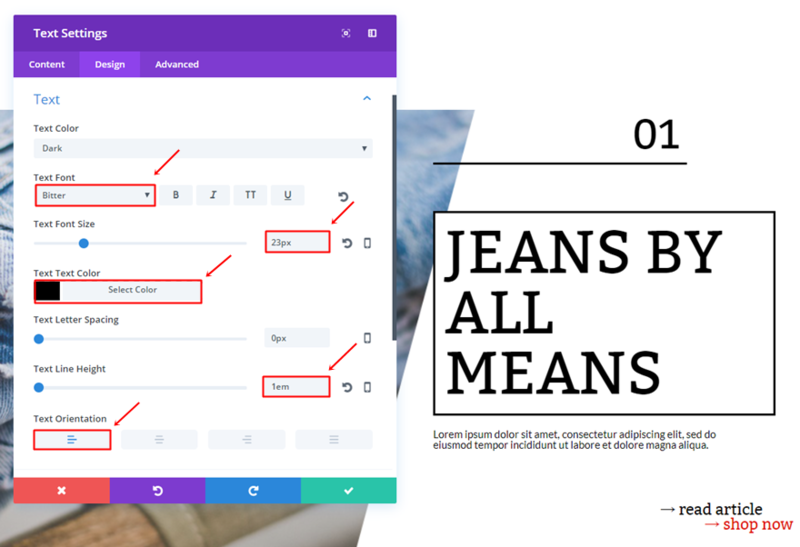 Once that’s done, you can go ahead and add a one-column row to the section. 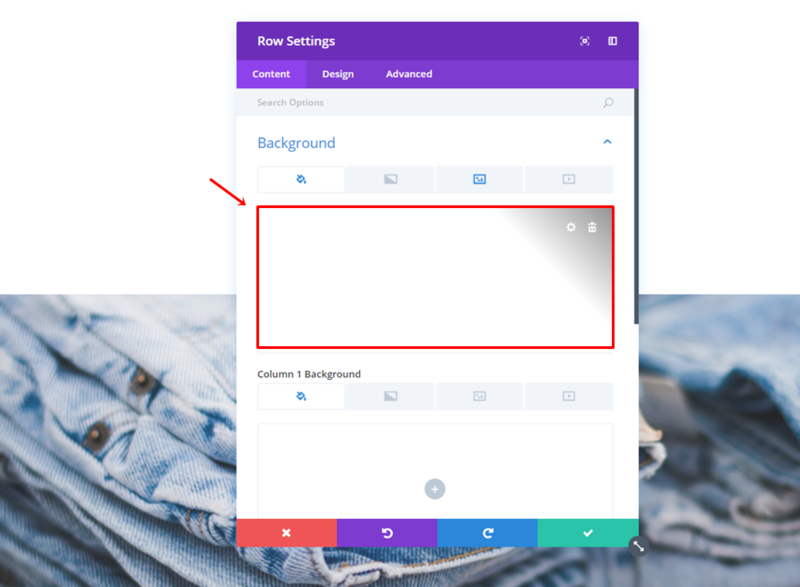 Scroll down and add ‘0px’ to the top padding of the row. 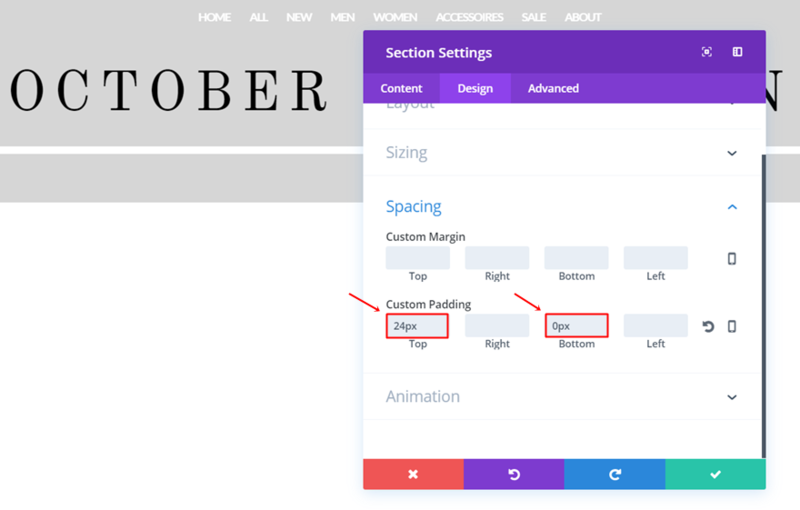 Open the Spacing subcategory and add ’30px’ to the top and bottom padding. 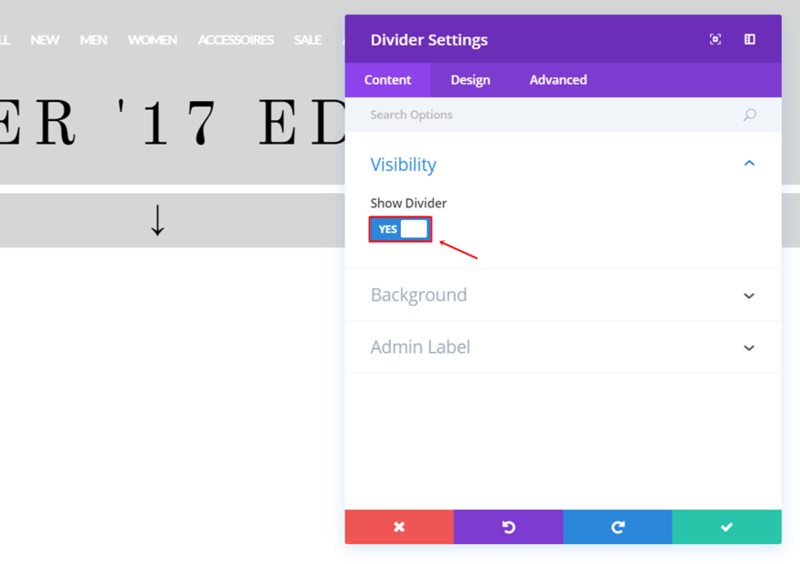 Right below the Text Module, add a Divider Module and enable the ‘Show Divider’ option. 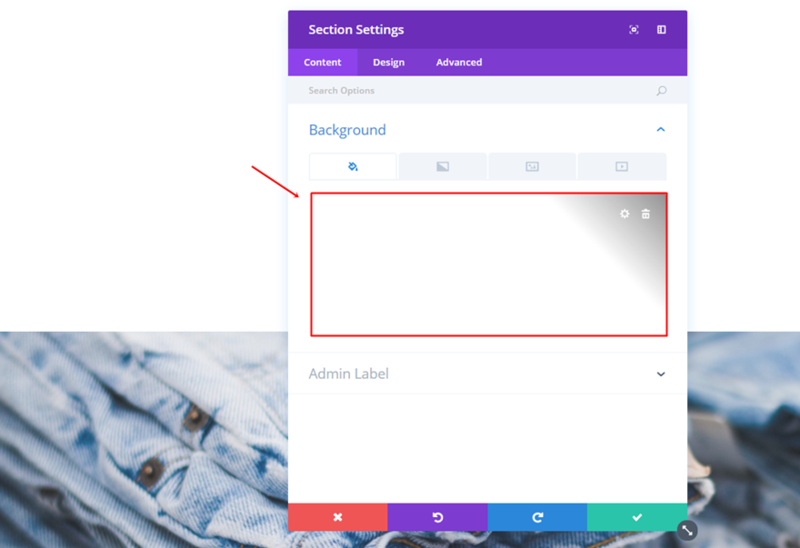 Go to the Design tab and choose ‘#FFFFFF’ as the divider color. 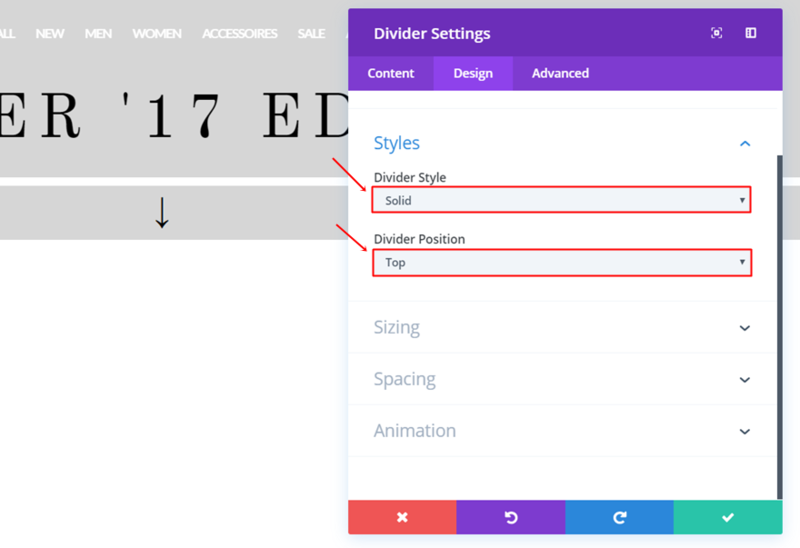 Next, choose ‘Solid’ as the Divider Style and ‘Top’ as the Divider Position within the Styles subcategory. Now, add another standard section. This section will contain two rows that’ll display a different part of the catalogue on desktop. 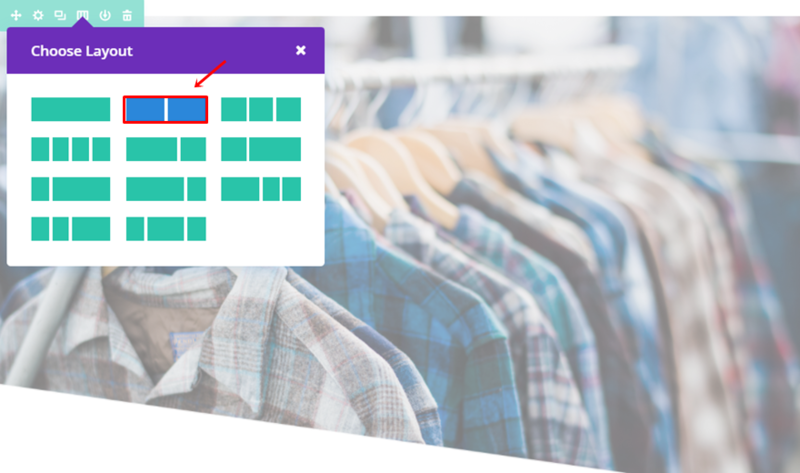 Use ‘#FFFFFF’ as the background color of this section. 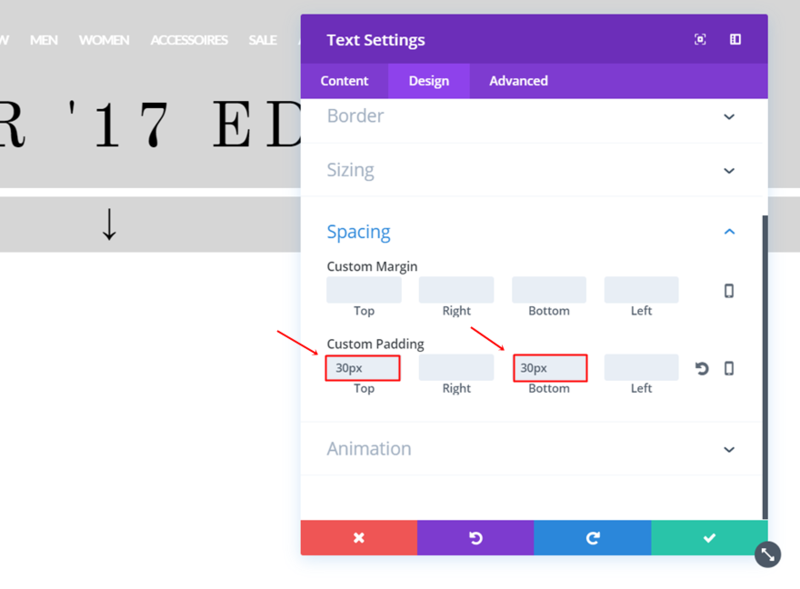 Then, go to the Design tab and add ’15px’ to the top padding. 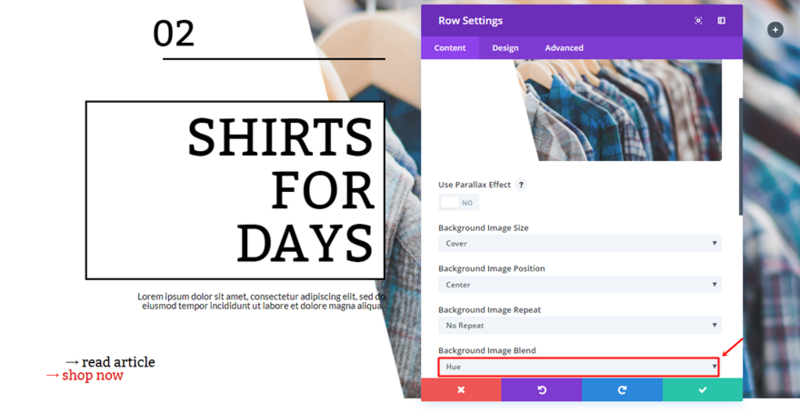 Open the row settings and add ‘rgba(255,255,255,0.14)’ as the background color. Add one of the images you’ve made in the Photoshop part of this post and use ‘Hue’ as the Background Image Blend. 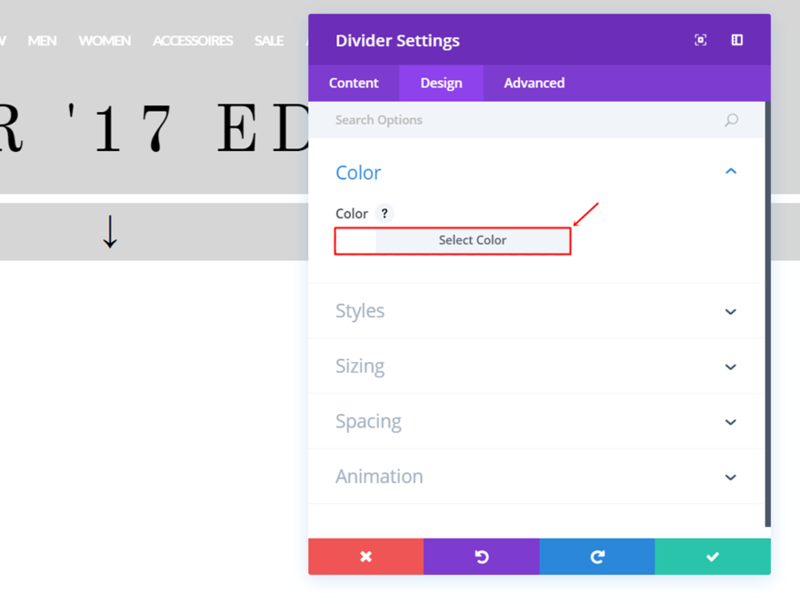 Right below the first Text Module, add a Divider Module and enable the ‘Show Divider’ option. 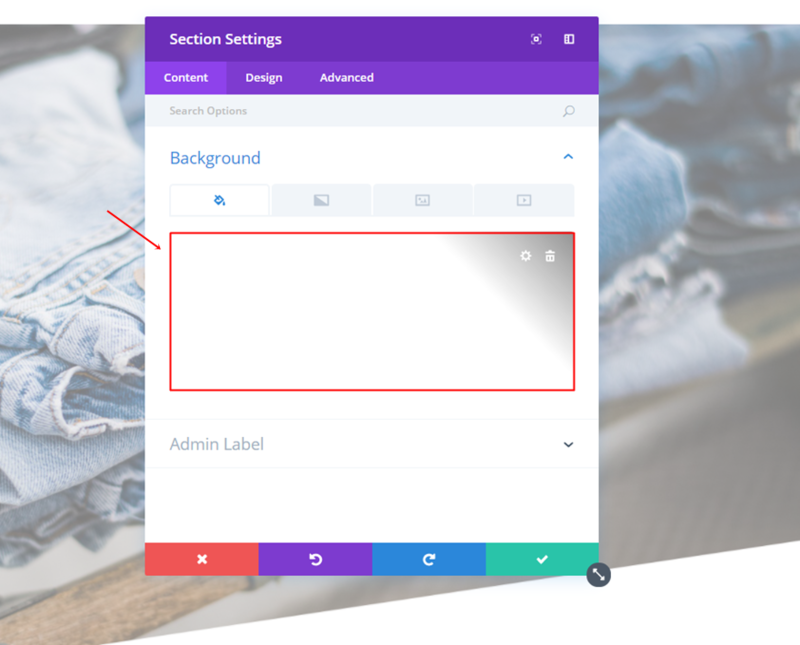 Move on to the Design tab and use ‘#000000’ as the divider color. 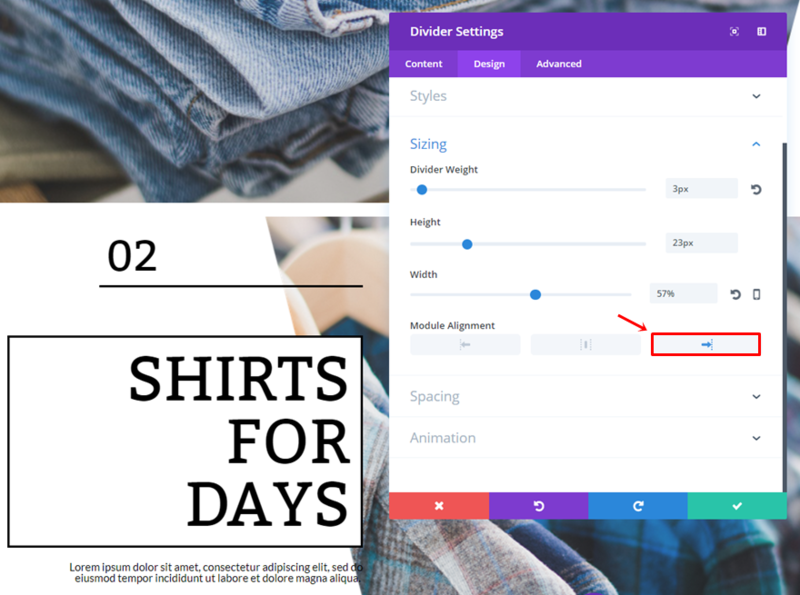 Within the Styles subcategory, use ‘Solid’ as the Divider Style and ‘Top’ as the Divider Position. 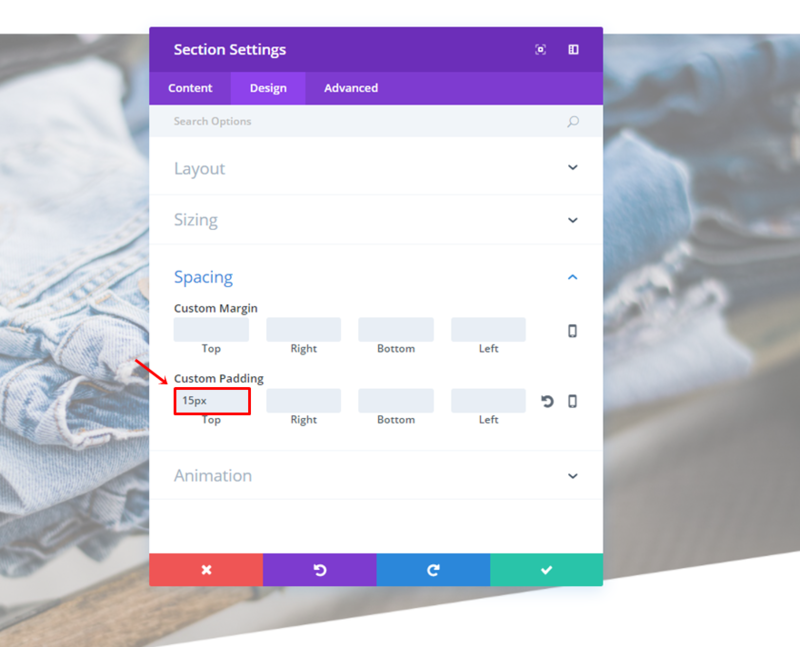 Lastly, add a top margin of ’30px’ and a bottom margin of ’50px’. 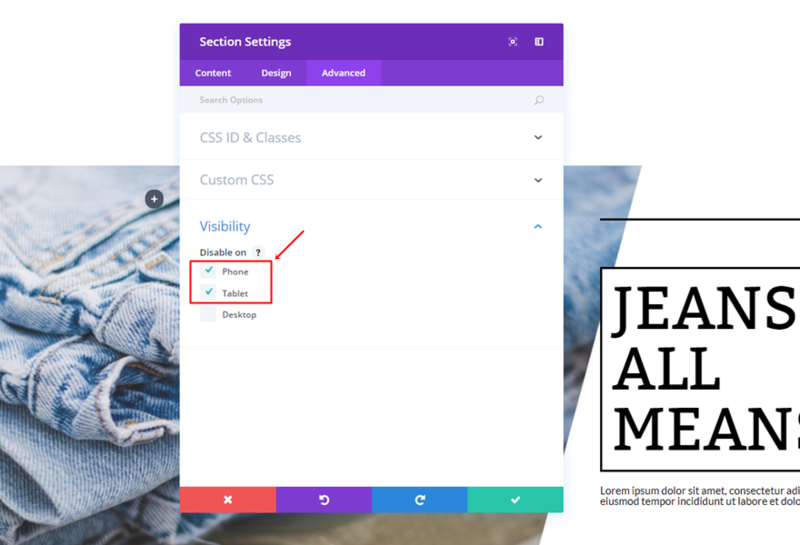 Once the Divider is in place, go ahead and add the second Text Module that’ll contain a title. 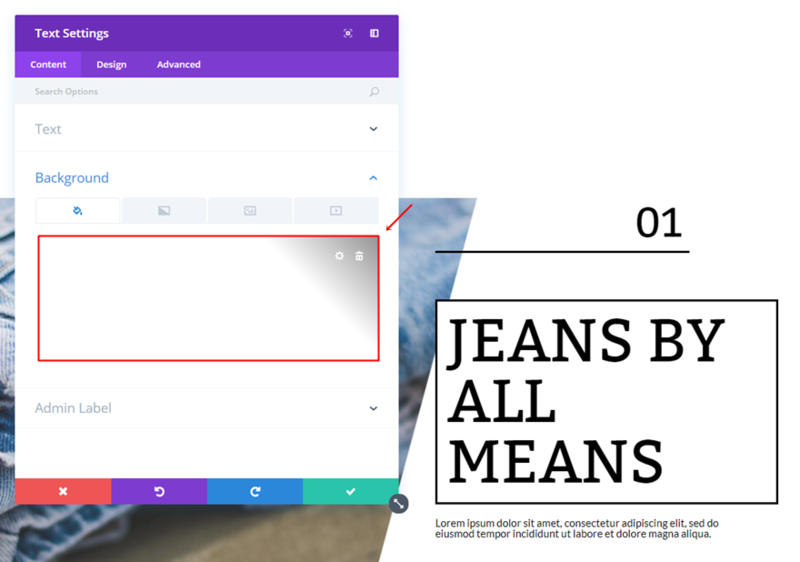 First of all, use ‘#000000’ as its background color in the Content tab. Furthermore, use a Width of ‘77%’ and a left Module Alignment. 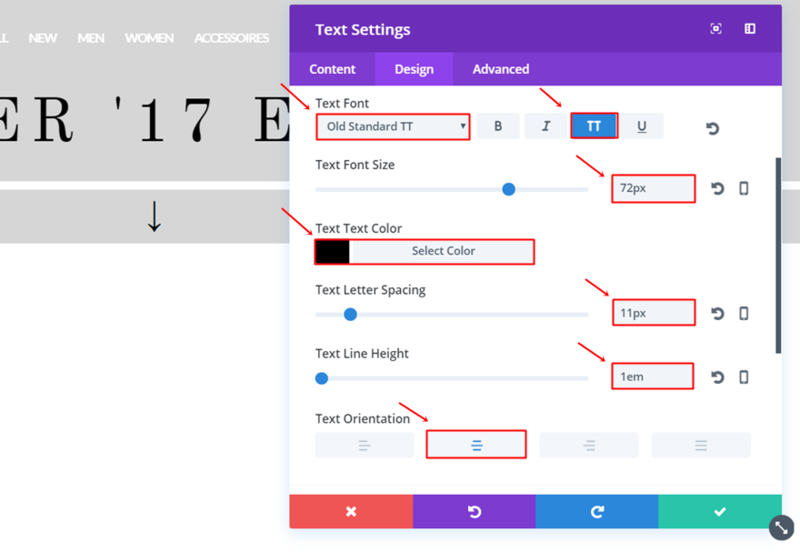 Lastly, add ’15px’ to the top, right, bottom and left padding of the Text Module. 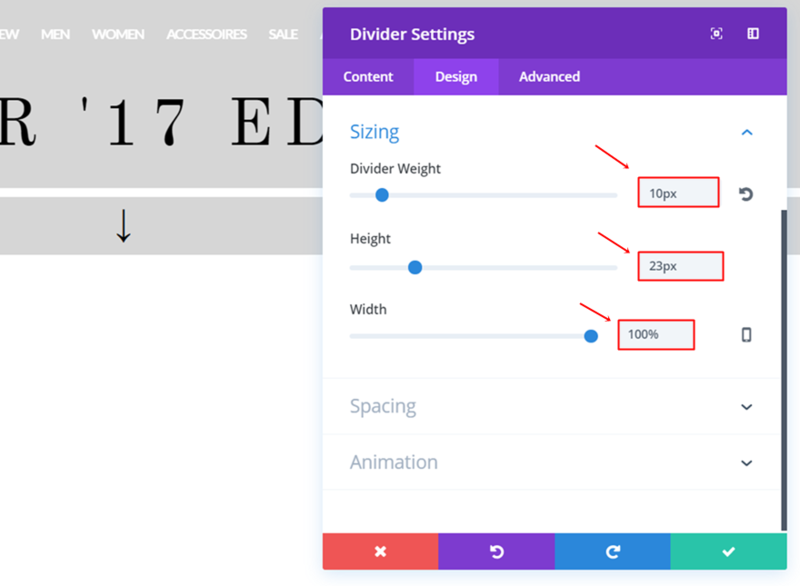 Open the Sizing subcategory, use ‘70%’ for the Width and select the left Module Alignment. 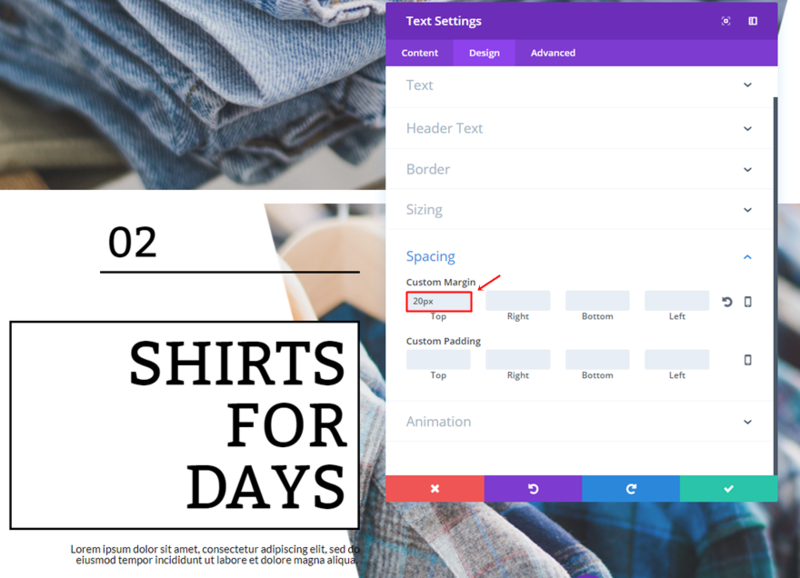 Lastly, add a top margin of ’20px’. 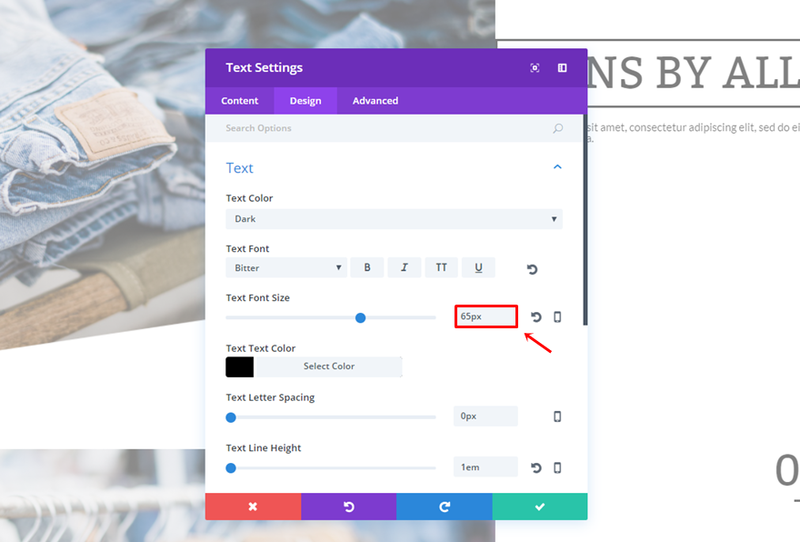 The fifth Text Module serves as a minimalistic button. 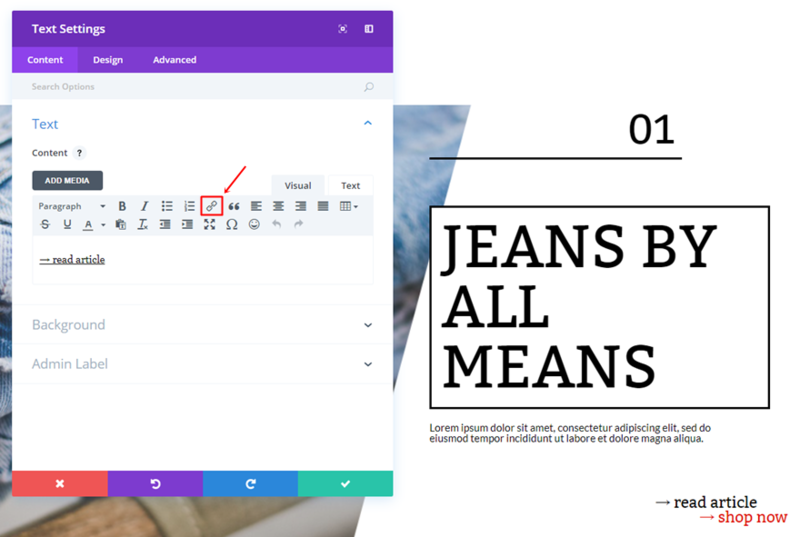 Within the Content tab, use the ‘→’ symbol + the text and put a link behind it. Scroll down the same tab until you come across the Sizing subcategory. 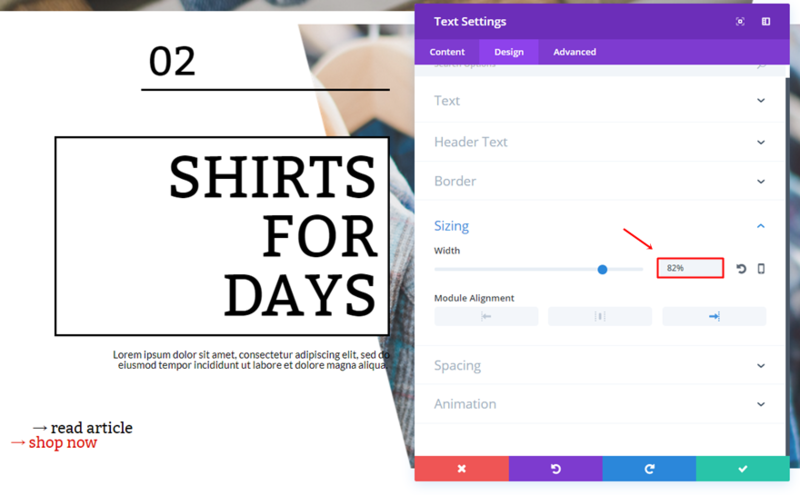 Within that subcategory, use a Width of ‘49%’ and a right Module Alignment. 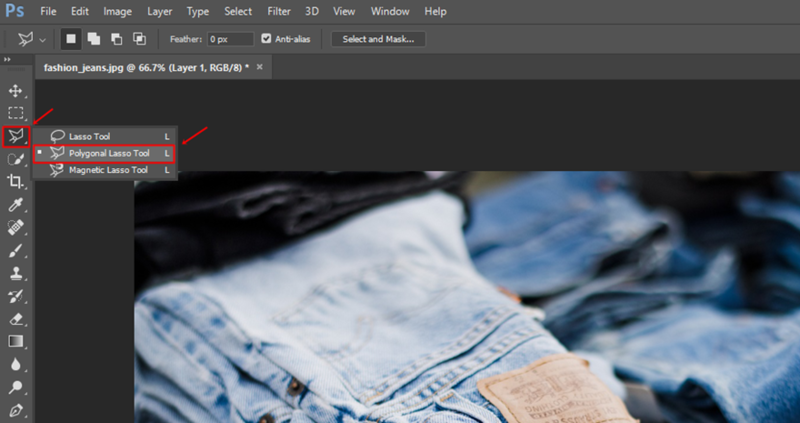 Lastly, add a top margin of ’80px’. The sixth and the last module we’ll be needing is almost the same as the previous one. Use the ‘→’ + text and put a link behind it. 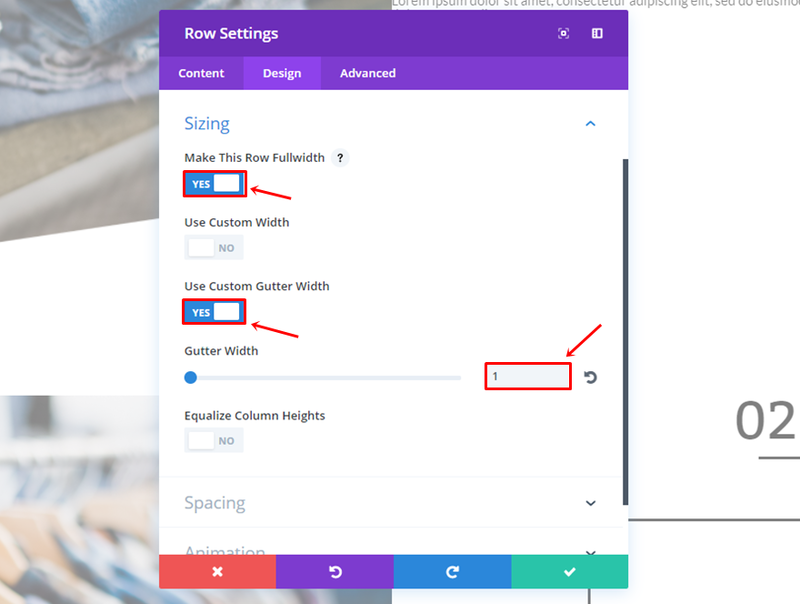 Change the Width to ‘39%’ and use the right Module Alignment as well. 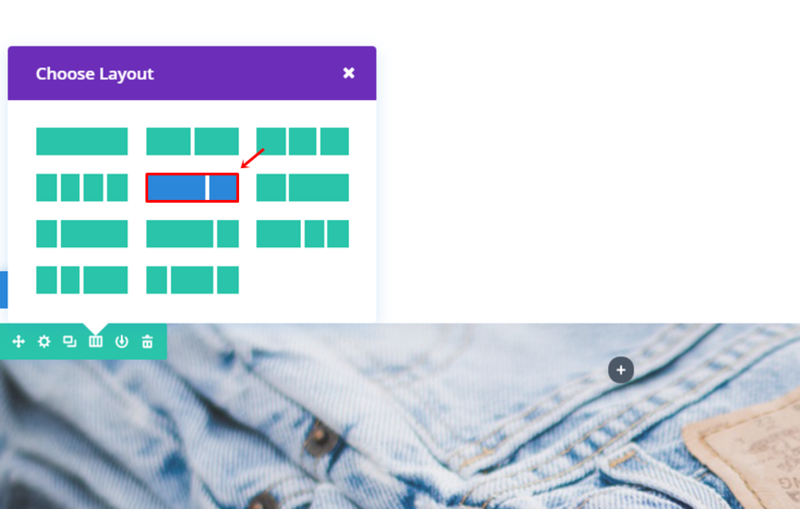 The second row you need to add to the standard section is just the opposite of the previous one. 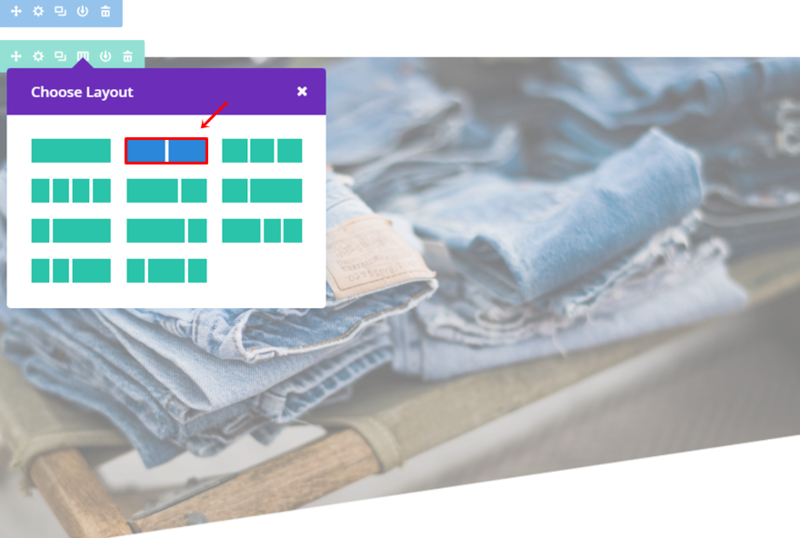 The modules we’ve used in the previous row are the same ones we need for this row so go ahead, clone them and place them in the first column instead of the second one. We’ll need to make some alignment changes in the next part of this post. 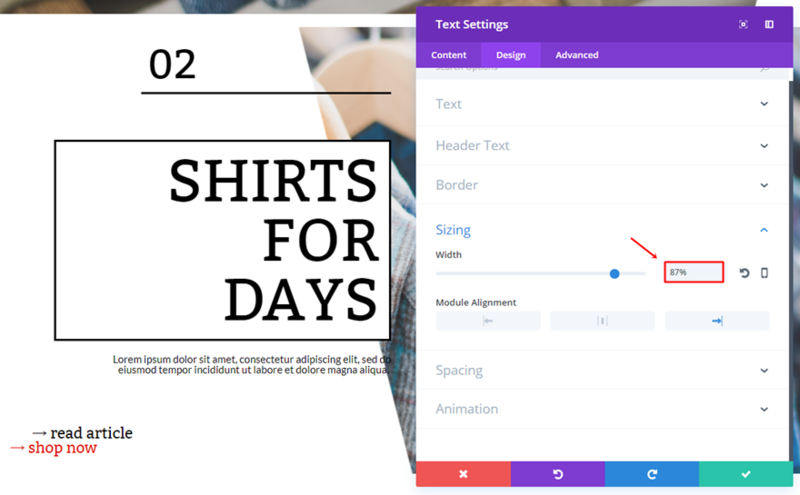 Open the first Text Module and add a top margin of ’20px’. 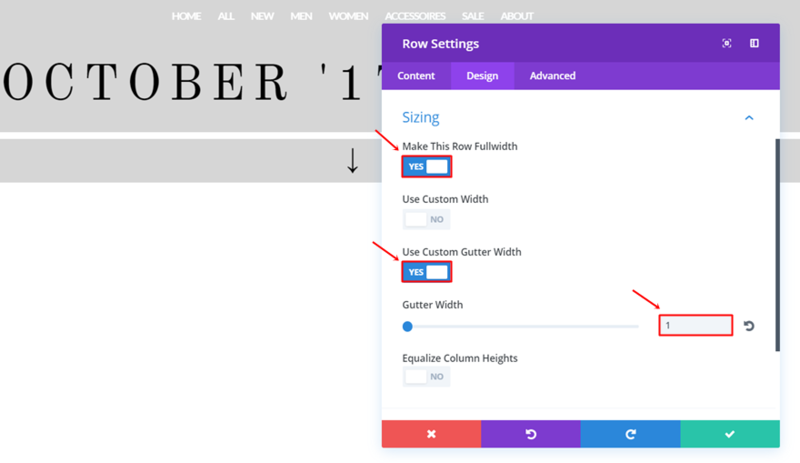 Then, open the Divider Module and change the Module Alignment within the Sizing subcategory to right. Set the Text Orientation of the second Text Module to right. 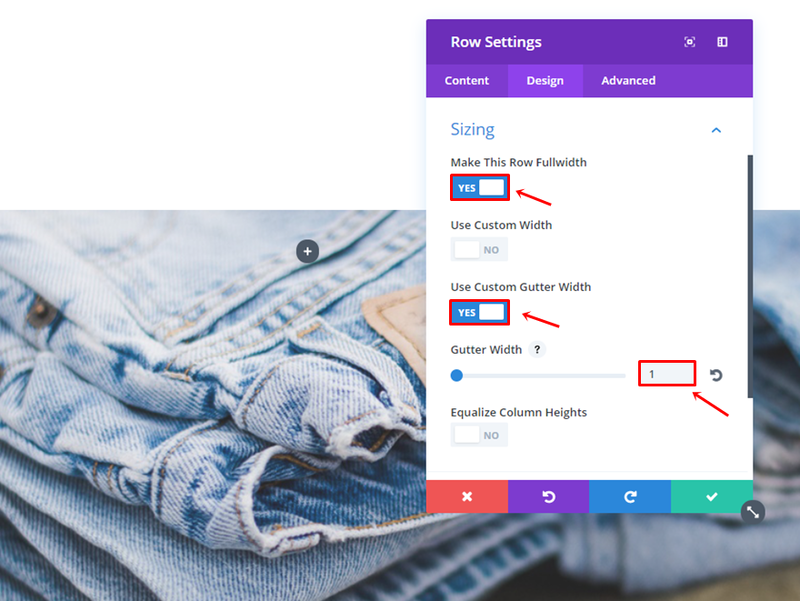 And choose a right Module Alignment in the Sizing subcategory as well. 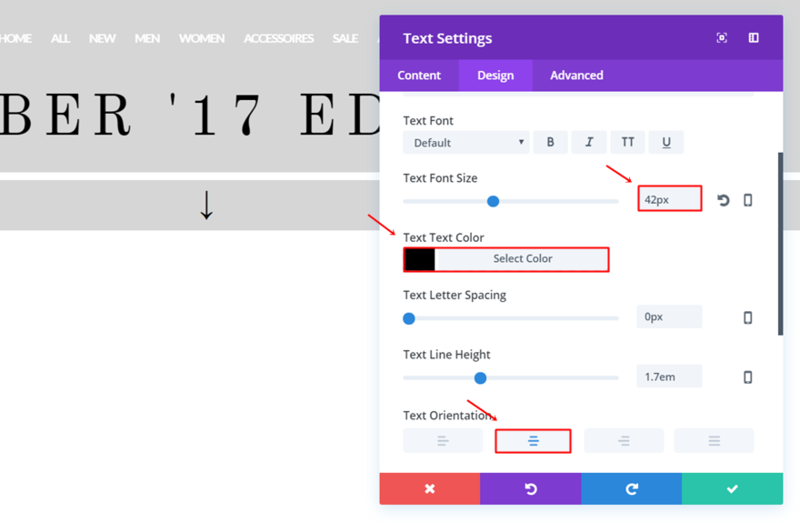 The third Text Module will need a right Text Orientation too. And a right Module Alignment as well. 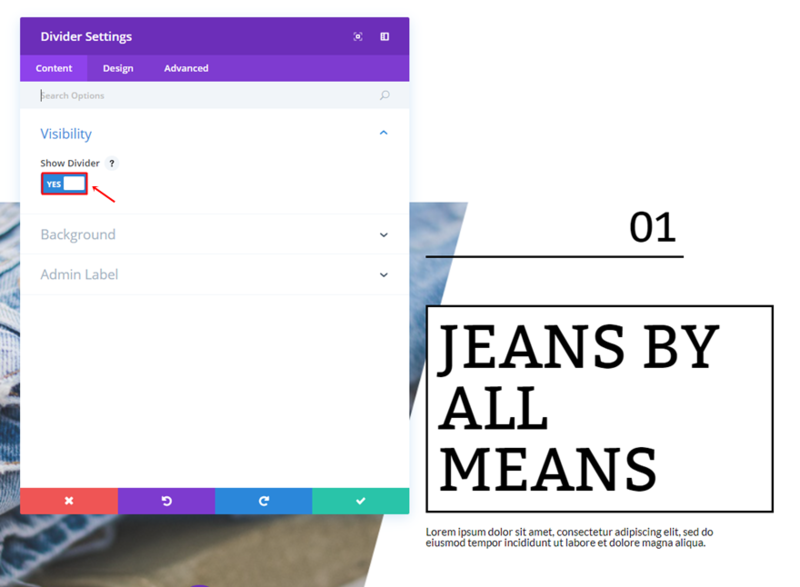 The only thing you’ll have to do for the fifth Text Module is change the Width into ‘82%’. 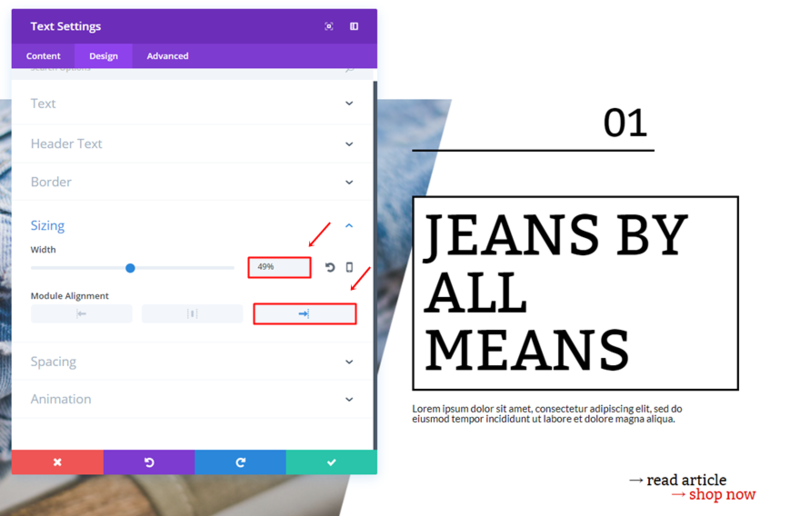 Same counts for the sixth Text Module but use ‘87%’ instead. 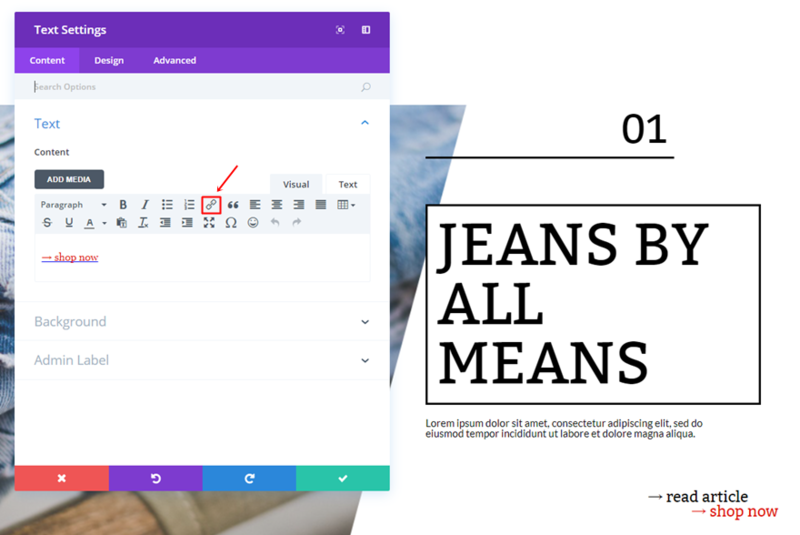 Once you’ve finished the two rows, you can go ahead and disable the whole section on phone and tablet. To make everything look great on tablet and phone as well, we’re going to create a new standard section. Add ‘#FFFFFF’ as the background color of that section. 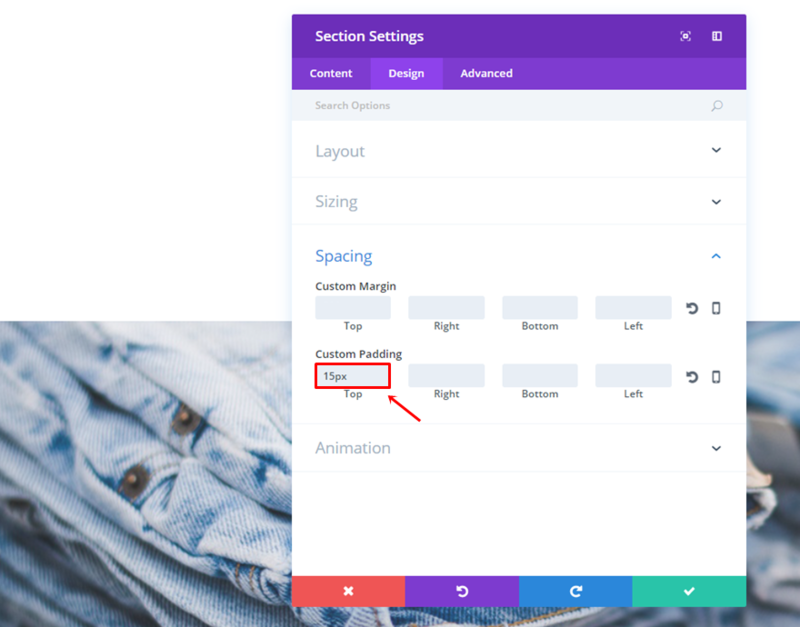 Move on to the Design tab and add a top padding of ’15px’. 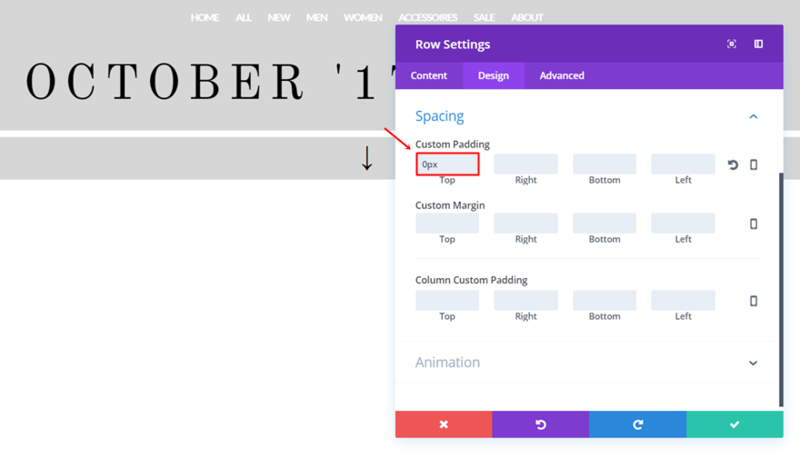 Then, add a two-column row to the section. 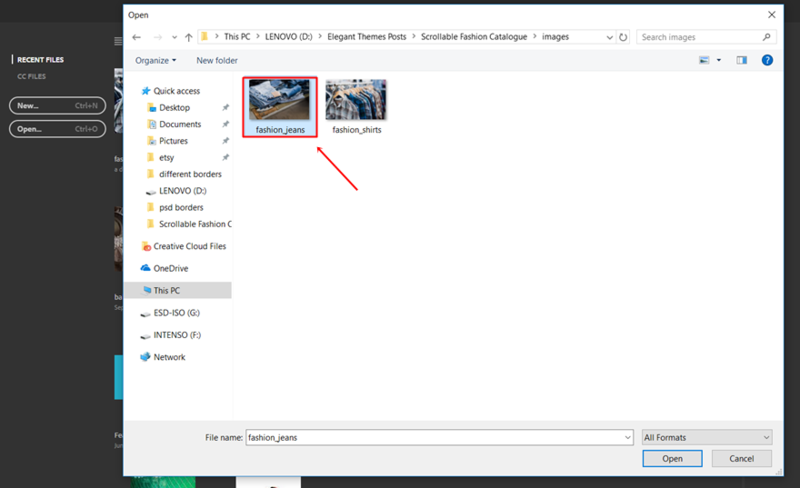 Instead of using a background image, we’re going to use an Image Module instead. That way, we’ll be sure that the text and image won’t overlap. 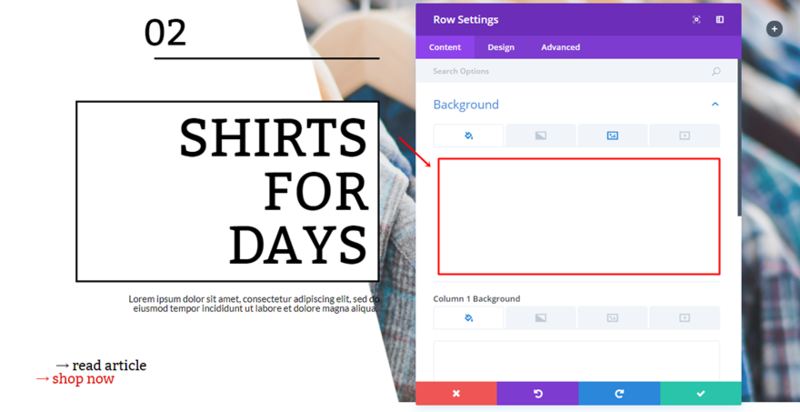 Go ahead and add an image module to the first column of the row and upload an image. Then, clone all of the modules that you’ve used in the first row of the desktop version and place them within the second column. There’s only one thing that needs to be changed; the font size of the second Text Module. Change it into 65px. 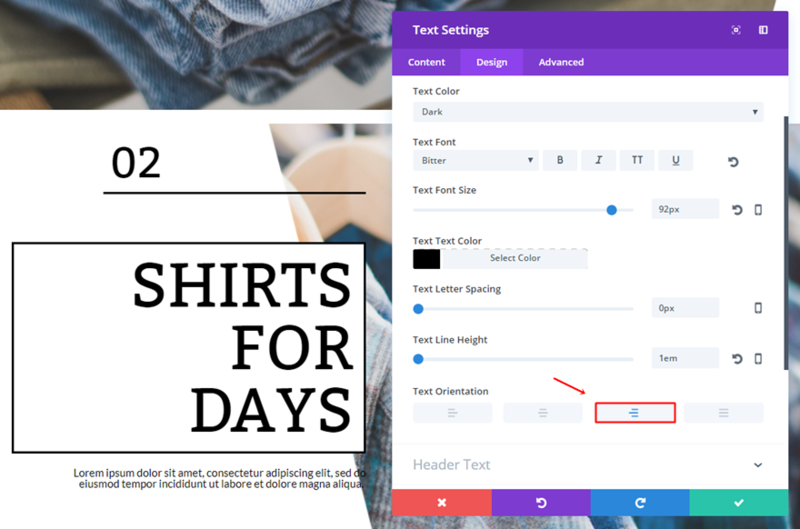 Then, go ahead and add another two-column row to the section. 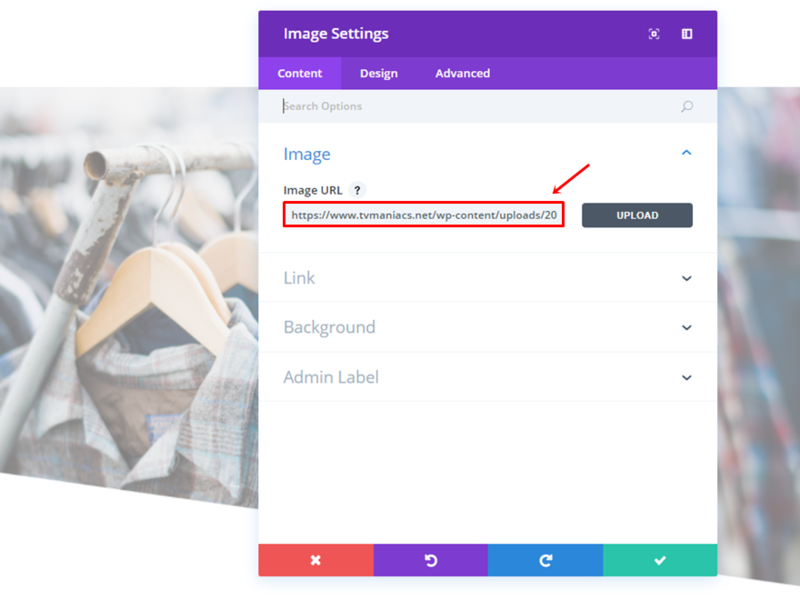 Add the Image Module to the first column as well and upload an image. Then, go ahead and clone the modules that are placed within the second row of the desktop version. Once you’ve cloned them, place them in the second column of this row. 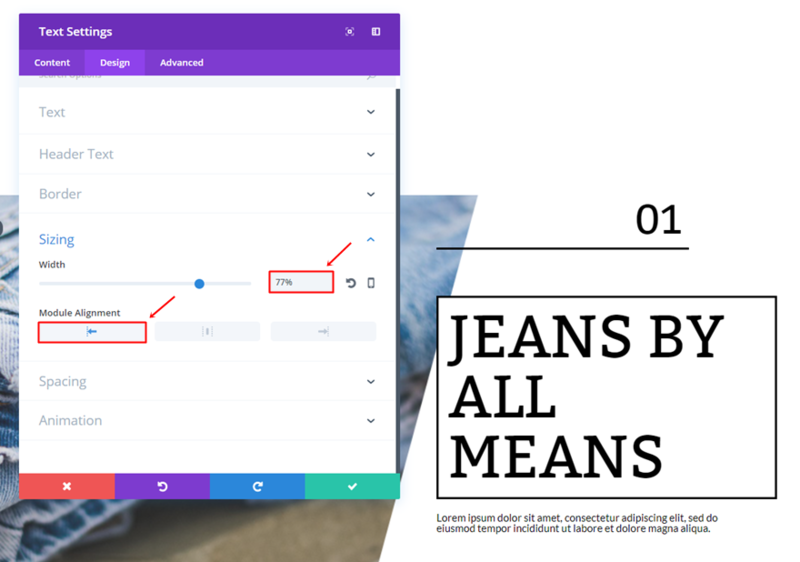 The text size of the second Text Module needs to be changed as well. Go ahead and give it a font size of ’65px’. 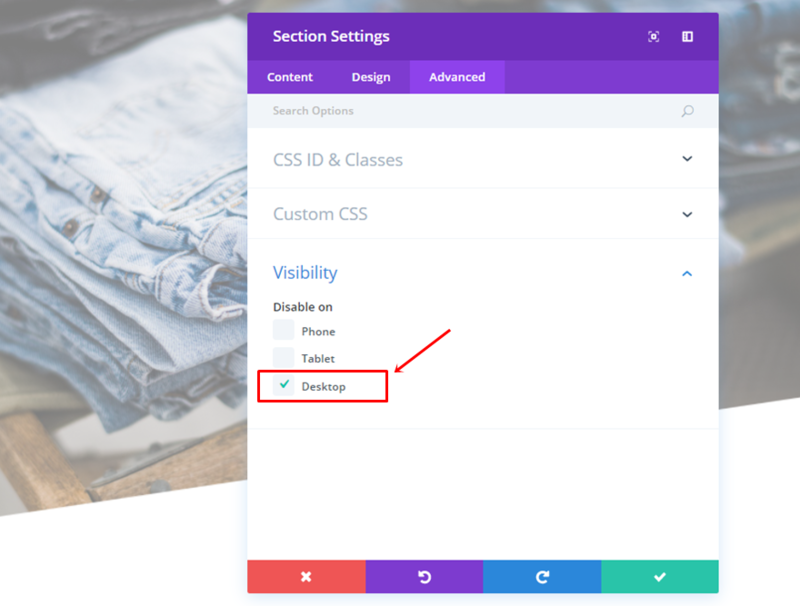 Once you’ve finished both rows, you can go ahead and disable the entire section on desktop. 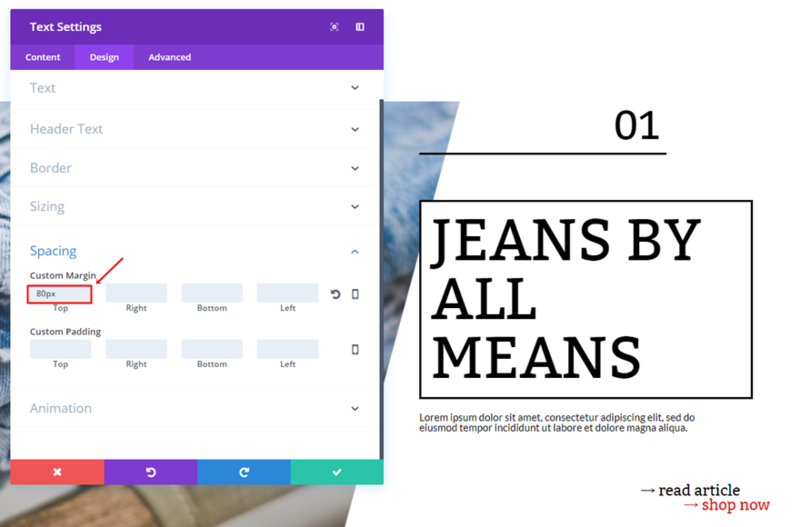 In this post, we’ve shown you how you can create a nice scrolling fashion catalogue. 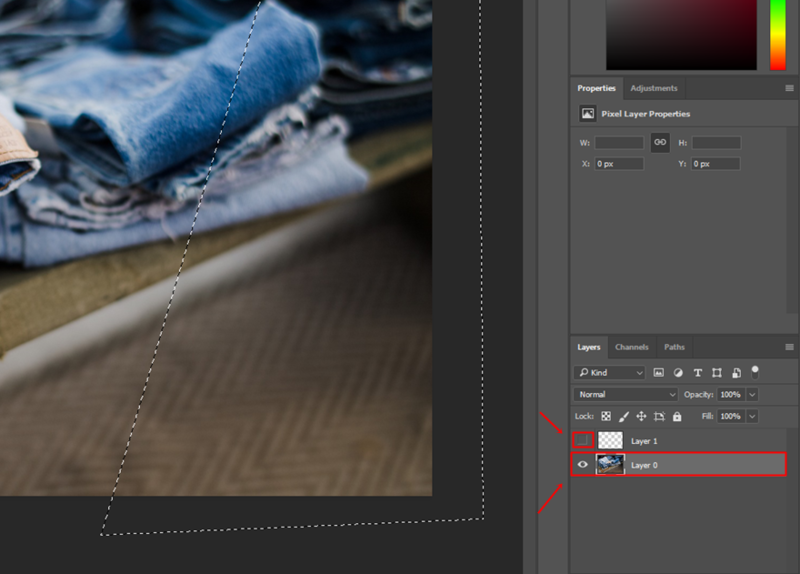 To make our design work, we’ve first shown you how to make a transparent shape within your image with Photoshop. 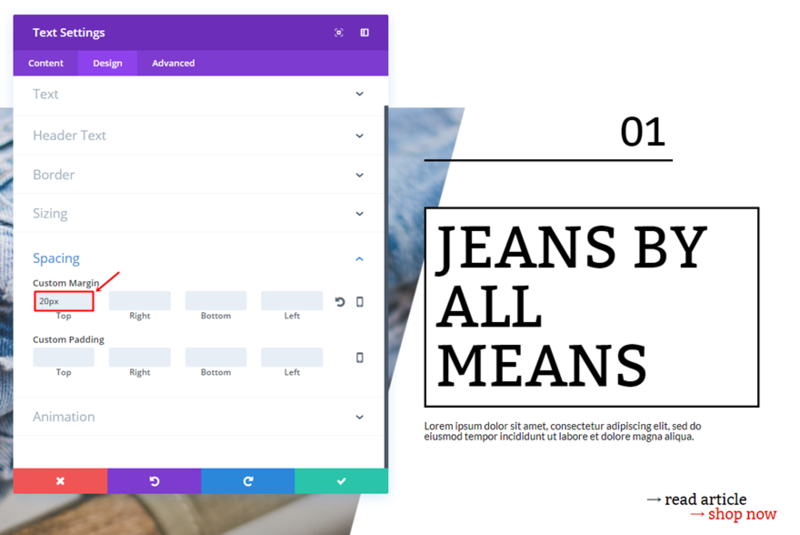 Afterwards, we’ve used these images within our Divi tutorial to create the design. If you have any questions or suggestions; make sure you leave a comment in the comment section below! Good design is always in the details. 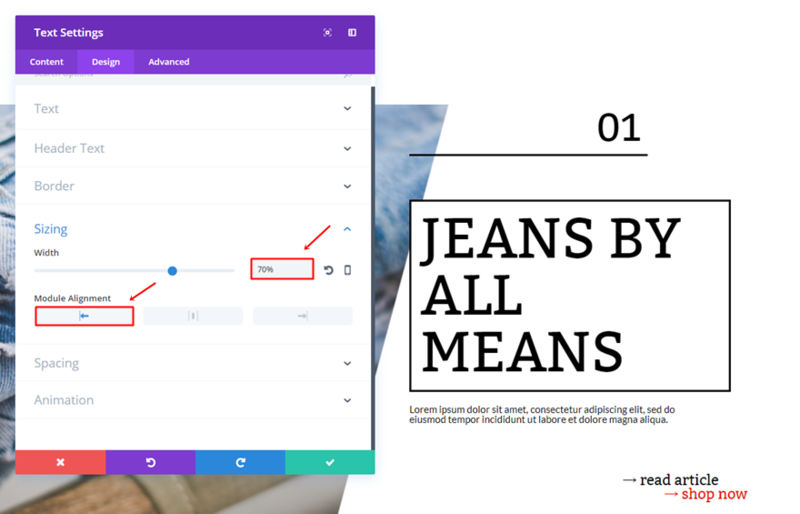 nice 🙂 stupid question, but how to you add symbols in side divi text module? You can find those in your Character Map (Windows) or Character Palette (Mac). Great article and lovely result! 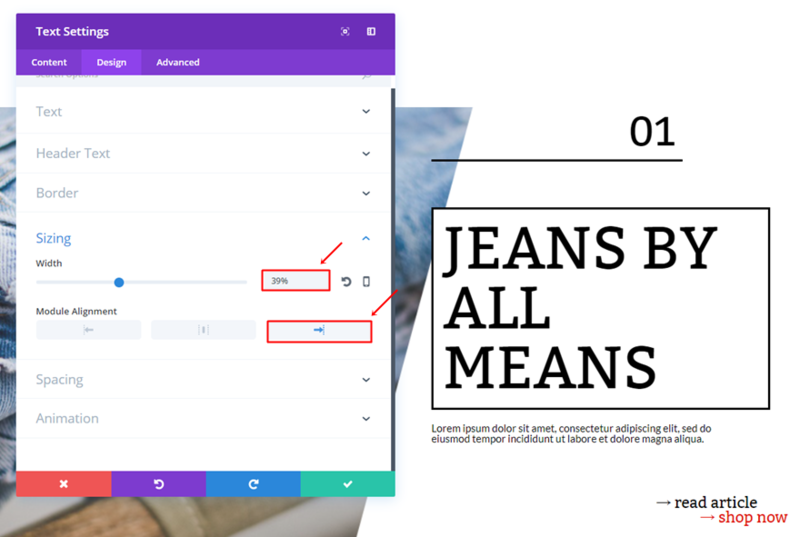 Could you have used a background overlay on the images instead of having to edit the images with transparent shapes? Thanks Dave! Yes, you can use that method as well. I used this way to avoid problems with IE. Why are images not loading on this post? 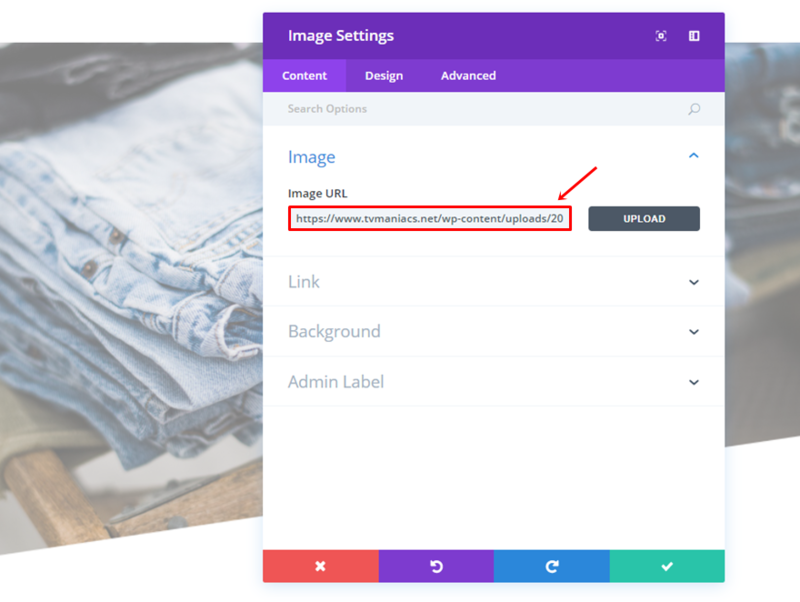 Images not loading is a common issue on the Elegant Themes blog for me too, but not this time. I’m on Safari and haven’t tried using another browser so I don’t know if the issue is an incompatibility with Safari. The antivirus tells me that the GimpShop software has a Trojan, when installing it, will it be true? Yes. Gimpshop has been compromised. Use regular Gimp if you need something free. Yes I’ve heard this from another user Felix. Try Gimp from gimp.org, that’s the original bit of software. 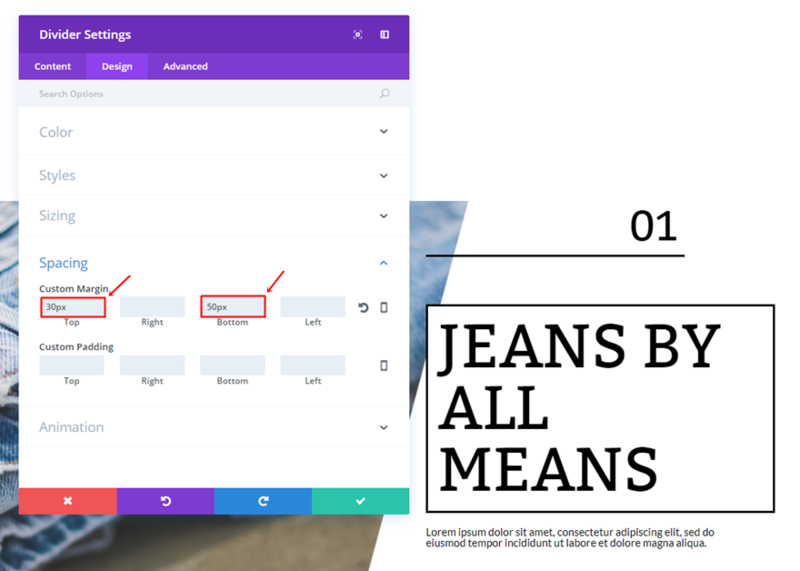 I am wondering is there any reason that I could not just create an image and have white or whatever colour I wanted instead of the transparency so I could stick with a jpg and therefore have a smaller size? 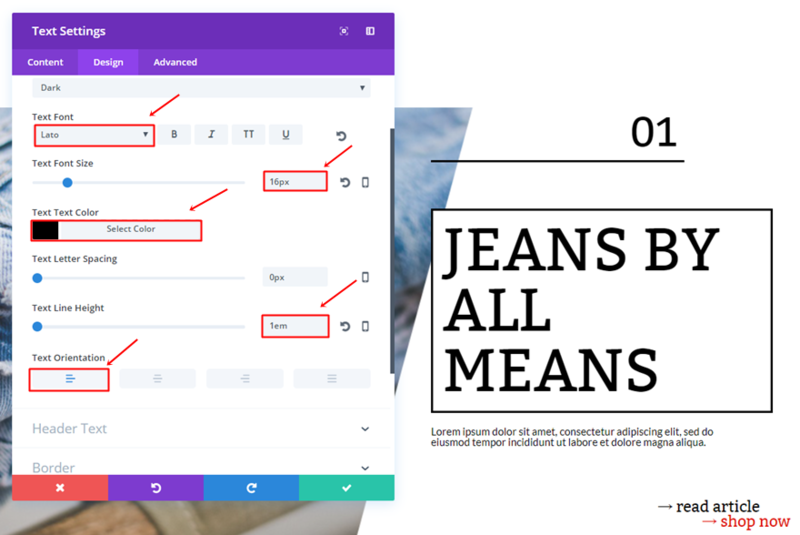 Do you have a link to to a demo site so I can see what the final result looks like in my browser? Any chance you could provide the layout and png’s for this to play around with?